We have Scottish dance classes to suit dancers at all levels from beginner to experienced, and a lively programme of events throughout the year. Scottish country dancing is enjoyable, sociable and an excellent form of exercise for people of all ages. We are always happy to welcome new members so please come along and join us! If you would like to know more, please use the website menu; if you have any questions then please contact us. 2019 is our Golden Jubilee Year. 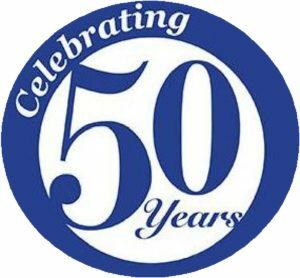 50th Anniversary Ball details and tickets now available: see Events page for information. NB: All are now sold or reserved; there will be a waiting list for returns.